I found with Syos a mouthpiece that I had been searching for a long time. Thanks to Pauline’s expertise and imagination, I now have a tool with unique and personalized acoustical characteristics, with great flexibility and consistent with my equipment. Syos process, completely new as it appears, has a lot of advantages, especially to provide each musician with a custom-made mouthpiece, reproductible and original. Moreover Pauline knows how to translate the sound wishes into parameters of the mouthpiece geometry, so that the result is often really close to the musician’s initial idea. The sound of Benjamin Dousteyssier is very dark and soft. The mouthpiece we created for Benjamin gives him the possibility to deploy easily this timbre in all the registers of the alto. Benjamin starts at the conservatory of Toulouse where he studies jazz, classical saxophone, and electroacoustic composition. In 2005 he moves to the Superior Conservatory in Paris to study jazz and improvisation with Riccardo Del Fra, Glenn Ferris and Francois Théberge.Besides his instrumental activities he writes music for different bands (from trio to symphonic orchestra). His approach is influenced by contemporary music, jazz and electric music (pop, rock, metal). 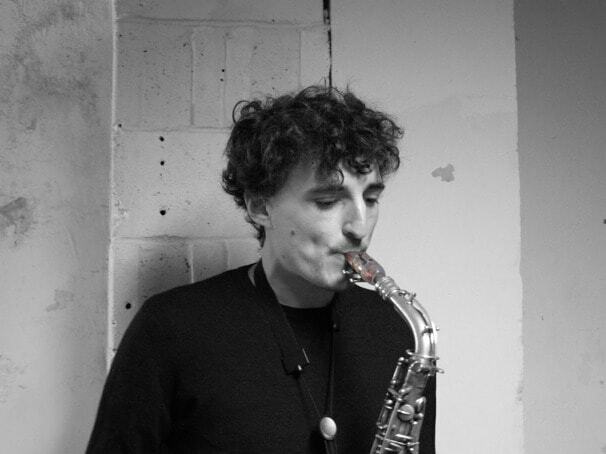 He plays with different bands in France such as Trio DDJ, Benjamin Dousteyssier septet, Nux, Apax, Paul Lay « into the lines » trio, « Au cœur », Benjamin Dousteyssier quartet, Actuum. He received many prizes as a saxophone player and composer: « La Défense jazz competition » with DDJ and Paul Lay trio, « the keep an eye jazz award » in Amsterdam with Actuum and a 4th soloist prize at the international competition in Friburg.